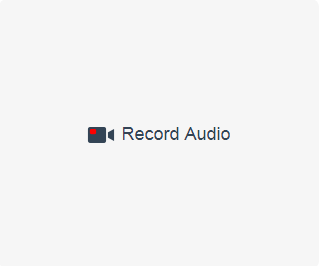 Audio only recording is the feature request we constantly received since launching the Pipe recording platform. Recently we’ve been hard at work adding the feature and as of today it’s available to all Pipe clients and trials. 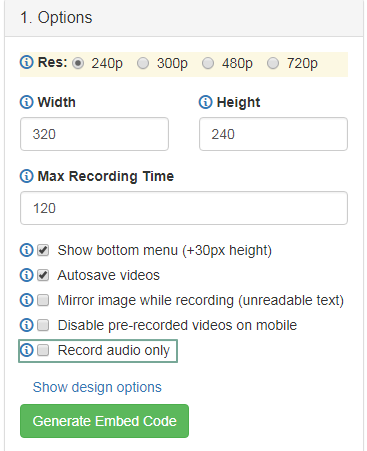 Both the HTML 5 and Flash recorders support audio only recording. 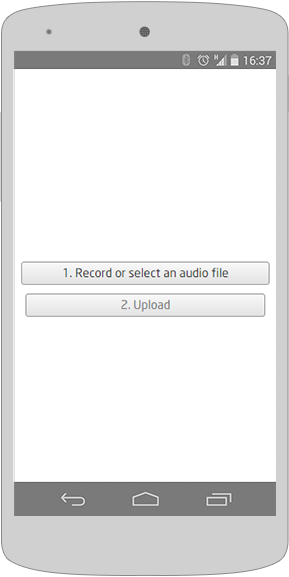 Recording just audio from Android devices is supported. 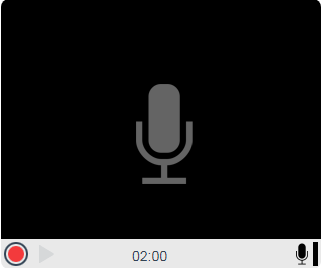 Unfortunately it is not possible to record just audio from iOS devices at this time because Safari on iOS does not support audio capture through the HTML Media Capture standard. When asked to record only audio Safari on iOS will give the user the (wrong) option to record a video or take a picture. The latest we’ve tested is iOS 11.1 . 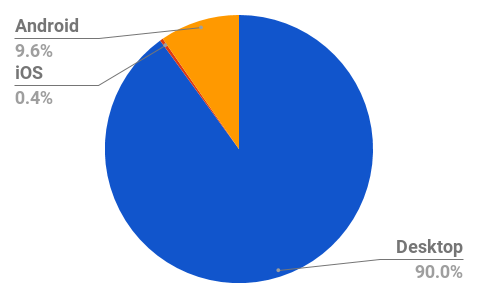 Lack of support for iOS might not be such a big problem. By looking at our (video recording) data for September 2017 we determined only 0.4% of all recordings were recorded from iOS, the rest were recorded from Android (9.6%) and from desktop devices (90%). The Flash client will record audio using NellyMoser’s ASAO codec at 44.1 kHz in a .flv container. This is converted to AAC at 44.1 kHz in an .mp4 file. The HTML5 client will record audio using Opus codec at 48 kHz in a .webm container. We convert it to AAC at 48 kHz in an .mp4 file. When recording audio from mobile devices a wide range of containers and audio codecs will be used depending on the device and Android version. As of now the following codecs and containers are supported. All of them are converted to .mp4 files with AAC while keeping the original sampling frequency. Recording audio files will be priced at 1¢/min.